The Postgraduate Certificate in Teaching Science and Engineering in English, 2003.1~2003.5, The University of Manchester Institute of Science and Technology (UMIST), UK. Ph.D. of Computational Mechanics, Sept. 1989 ~ July 1992, Institute of Engineering Mechanics, Dalian University of Technology, P. R. China. M.Sc. of Computational Mechanics, Sept. 1986 ~ July 1989, Institute of Engineering Mechanics, Dalian University of Technology, P. R. China. Professor, 2003.12 ~ present, Department of Engineering Mechanics, Tsinghua University, P. R. China. Associate Professor, 1998.8~2003.11, Department of Engineering Mechanics, Tsinghua University. Research Associate, 1997.8~1998.7, Department of Mechanical Engineering, University Victoria, Canada. Associate Professor, 1994.12~1997.7, Department of Engineering Mechanics, Tsinghua University. Lecture, 1994.6~1994.12, Department of Engineering Mechanics, Tsinghua University. Postdoctoral Research Fellow, 1992.8~1994.5, Department of Hydraulic Engineering, Chengdu University of Science and Technology. Working on basic theories and numerical methods of computational mechanics and its application in sciences and engineering practices. Especially focusing on numerical methods (meshfree and particle methods, finite element and extended finite element methods, finite volume methods) for multiscale, multiple media (rigid body, solid, fluid) and multi-physics (structure, thermal, chemical, electromagnetism) behavior of materials and structures under strong impact load (such as impact, shock and explosion). Research directions include computational impact dynamics, fluid-structure interaction, hypervelocity impact dynamics, micro- and nano-mechanics and multiscale analysis, high performance computing and analysis of large engineering structure. 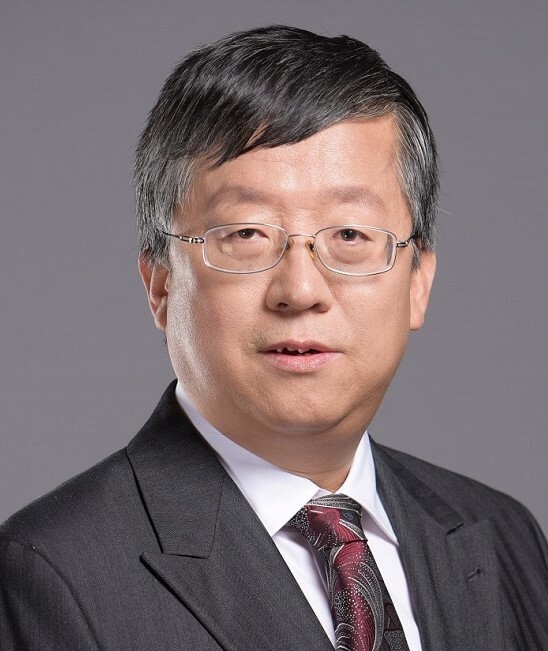 Qian Ling-Xi Achievement Award for Computational Mechanics, 2016. ICACM Computational Mechanics Award, 2016. ICACM Fellows Award, 2011.12, Taipei. New efficient and stable meshfree methods, Second prize for Natural Science from the Ministry of Education of China, 2009 (first accomplisher). Innovation Research of Mechanics and Mechanism of Carbon Nano Materials and Devices, First prize for Natural Science from the Ministry of Education of China, 2008 (sixth accomplisher). Award for Excellent Teaching Software, first prize, Tsinghua University, 2005. Program for New Century Excellent Talents in University, the Ministry of Education, China, 2004. Award for Excellent Text Books, second prize, Tsinghua University, 2004. Educational Innovation Award, Beijing Municipal Education Commission, 2003. Award for Excellent Young Faculties in Teaching, Tsinghua University, 2002.